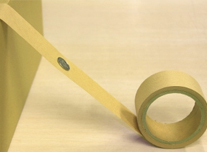 Feature: It is neutral pH base paper with few foreign substances. We produce both bleached and unbleached products. 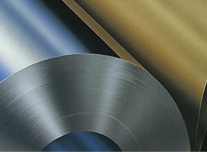 Use: It is used in stainless rolling and production processes for protection. Feature: It has excellent heat resistance and cushioning properties. 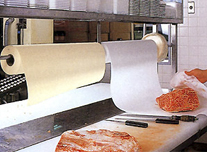 Use: It is cushioning paper for hot pressing of various substrates. 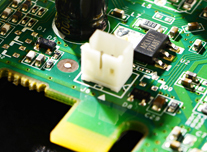 We have an assortment of general-purpose products and products with excellent heat resistance. Feature: We are the only paper manufacturer in Japan capable of producing this paper with enhanced longitudinal and horizontal elasticity. It features special processing of on-machine primary crepe and on-machine line-embossing. Use: It is used for a wide variety of purposes ranging from heavy-duty bags to wrapping souvenirs and sweets. Feature: It is on-machine primary crepe. 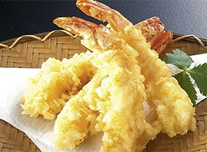 The pitch of the crepe is uniform and it has tensile (longitudinal) strength. Use: It is used for a wide variety of purposes ranging from reinforcement tape for heavy-duty bags to wrapping souvenirs and sweets. Feature: Two-layer pressing enables the use of different materials for each side of the paper to make this specialty paper. With this technique, it is possible to have the base paper of one side bleached and the other unbleached. 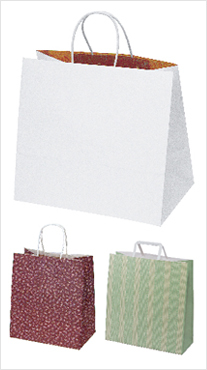 Use: With a distinguishable texture, it is used for shopping bags and envelopes, etc. Feature: It has excellent water-repelling properties. Use: It is used to wrap such fruits as grapes and loquats in the growing stage. 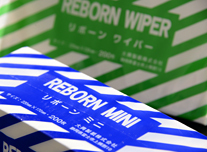 Feature: It has excellent oil resistance. 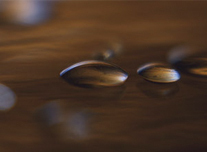 It is used as an environmentally-friendly alternative to resin products. Use: It is used for bags for pet food, heavy-duty bags for milling, bags for fast food takeout and other food, etc. Feature: It is base paper with higher surface strength and peeling strength to prevent peeling of base paper. 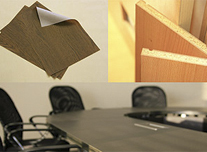 Use: It is used as surface decorative paper of paper core, more widely used in eastern Japan. Feature: It is neutral pH one-sided glossy base paper. Use: It is used widely for protecting metal products including lead frames made with stainless steel, nickel, copper and other special steel as well as in their production process. Feature: This one-sided glossy base paper with excellent surface smoothness is ideal for gravure and other printing. One of our strengths is high-quality base paper with high inter-paper strength and we can also produce colored paper and titanium-containing paper with high concealment properties. 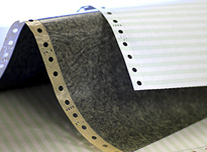 Use: It is used for such decorative paper as furniture surface and wallpaper. Feature: With one-sided gloss, this base paper is suitable for printing. Air permeability is also adjusted to ensure ink permanence. It is also designed to be suitable for such processing as embossment. 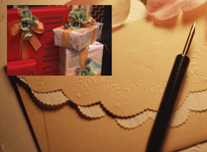 Use: It is versatile base paper usable for paint curing and decorative paper for gift boxes, etc. Feature: It is one-sided glazed base paper with higher surface and peeling strength to prevent peeling of base paper, available in two colors of brown and light brown. 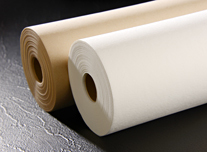 Use: It is used as surface decorative paper of paper core, more widely used in western Japan. Feature: It is neutral pH one-sided glossy base paper with excellent heat resistance. 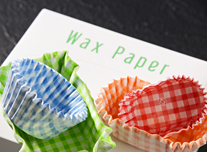 Use: The paper is for industrial use as pie and cookie baking paper. It is continuingly used as processing paper for plant production, different from home-use baking paper. 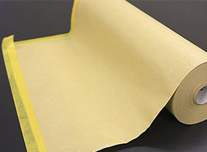 Feature: It is base paper with high permeability to prevent carbon from bleeding through. Use: The product name, OTC, stands for “One Time Carbon.” This carbon base paper used for business and application forms, etc. Feature: It is one-sided glossy base paper with similar longitudinal and horizontal strength ratios. Use: It is used for protecting acrylic and other resin plates. Feature: It is base paper for laminating with aluminum foil and laminate film. It is also suitable for printing as one side is gloss. Use: It is used for bags of individual packaging of granulated seasonings and artificial sweeteners as well as wrapping paper for hamburgers and hotdogs, etc. Feature: With high water absorption and retention properties, it holds up well against water and is sanitary and safe. Use: It absorbs meat drips and water leakage from fresh food and prevents drying, keeping freshness and quality. 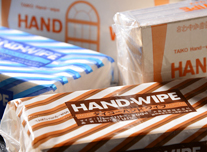 Use: It is water and grease absorbent paper made from 100% natural pulp. It keeps the taste of rice as it is. Feature: it is sanitary and safe, and suitable for disposable use as it is less expensive than non-woven cloth. Use: It is used as processing paper for inspection of softgels. 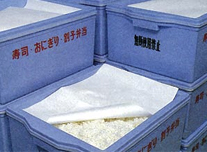 Feature: It is surface foamed paper with a special foaming agent. With more than 50 degrees of slip angle, it prevents slipping. 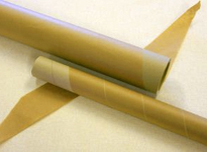 Use: It is used as bottom paper for containers and for protection in transportation. Feature: With high water absorption and retention properties, it holds up well against water and is sanitary and safe. It can be used for food in the backyard. Use: It can be used safely at hotels, offices, hospitals, restaurants and food production plants, etc.